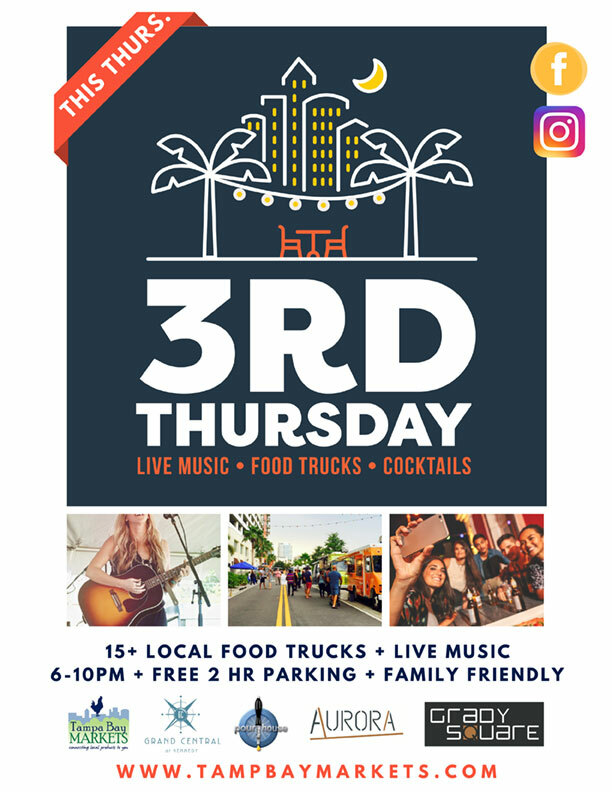 Since 2012 – Every 3rd Thursday | Live Music | Cocktails | Food Trucks (formally known as Flicks + Food Trucks). 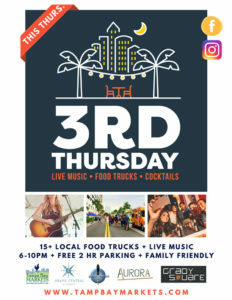 Join us for some all out – outside food fun located at Grand Central at Kennedy 1208 E. Kennedy Blvd 33602. On average Flicks + Food Trucks draws a minimum of 1000+ fans from all points of Tampa Bay. A significant amount of those fans live within the residential areas of the Chanel District, Downtown Tampa and at Grand Central at Kennedy. Created by Tampa Bay Markets, Inc. local grass roots company that creates and operates open-air, fresh Markets and other local events for the Tampa Bay area. Hosted at The Grand Central at Kennedy, from 6pm-10pm, on the 3rd Thursday of every month & always held rain or shine!